Achieve absolute quality and cost effectiveness with our rigorous processes. Gain critical regulatory understanding with our pure medical expertise. Get exactly the support you need from our vertically integrated capabilities. At Donatelle, we make products that enhance – and save – lives. 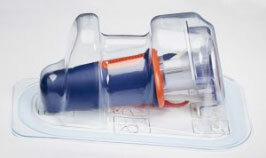 We manufacture complex medical devices and components for low- and high-volume needs. That’s all we do. And we do it with the utmost precision, consistency and rigor, because for you – and your customers – quality is essential. Reliability is a must. And delivering on what’s promised is vital. Learn more about how our medical device contract manufacturing company can help bring your products to market – with confidence. For more than 50 years, the best, most recognized names in the industry have relied on us to help them deliver critical medical devices and components – on spec, on time and on budget. They also rely on our impeccable track record of meeting product development deadlines and more than 99% on-time delivery rate. We’re eager to share our results with you. Our medical device contract manufacturing capabilities focus exclusively on medical device design, development and manufacturing, especially for intricate applications where precision, tolerances, validation and timelines are critical.